Well I’m back after a three week xmas and new year’s break and I thought I would review a TV series that we watched while we were away at the beach. Now this is the third time I’ve watched this series and it hasn’t lost any of its impact. I’m talking about Band of Brothers. This world war two TV series follows Easy Company during their European campaign in which they took part in many of the major battles of the war. Now I’ve seen a lot of war movies and documentaries over the years but I’m more then willing to stake my reputation on the fact this show is the best war show of all time, beating any other TV series or movie ever made. 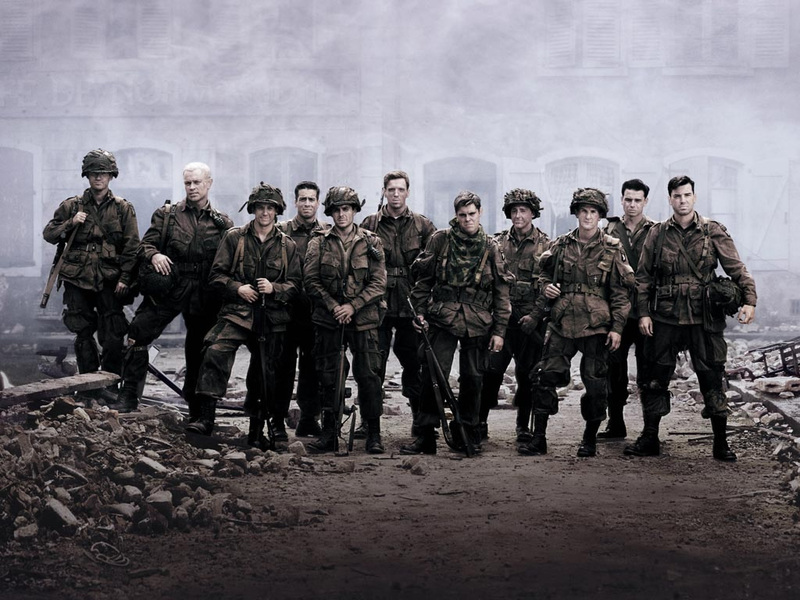 Yes its kind of unfair to compare a 10 hour TV series to a two hour war movie, but this show really is one big story that is just told so well and every episode adds to the amazing puzzle of the journey these men go on. From the action set pieces to the human drama, everything is done so well. The characters created by the writers and actors are so engaging that when they die or get injured you genuinely feel sad to see them leave the show. Yes I admit that I even shed a tear or two in a few episodes. In fact I love this show so much that after all three times I’ve watched it I could have easily put disk one back in and started over again. So I’m sure as you can see from my review I think very highly of this show so my rating will come as no surprise to you. It’s a must see for everyone and not just fans of war films and military history.